Born: 21 October 1955, Tehran, Iran. Went to France in 19??. Education: University of California, Los Angeles [UCLA]; International Center of Photography, New York; New York University [1978-? ; majored in Film]. Ph commercials dir by William Klein, Chris Cunningham, David Fincher, Jean-Baptiste Mondino [for Jean-Paul Gaultier, Dolce & Gabbana, etc.] a.o. Ph music videos, e.g. 'Frozen' [1998, a: Madonna; d: Chris Cunningham; aph: Philip Pastuhov] & 'Afrika Shox' [1998, a: Leftfield; d: Chris Cunningham]. Directed commercials for Microsoft, Lancôme, a.o. 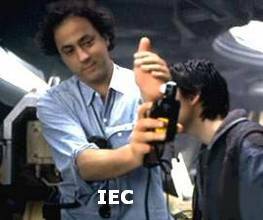 Appeared in the doc's 'Shooting 'Panic Room' [2000-01, David Britten Prior], 'Les archives de Jean-Pierre Jeunet'  & 'One Stop Beyond: The Making of 'Alien: Resurrection' [2003, Charles de Lauzirika]. 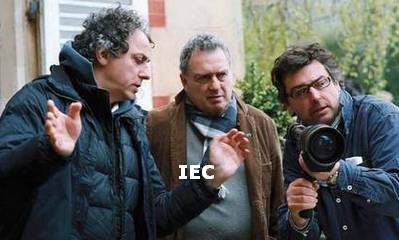 Awards: 'César' Award nom  for 'Delicatessen'; 'César' Award nom  for 'La cité des enfants perdus'; ASC Award nom , BSC Award nom  & CFCA Award  for 'Se7en'; Camerimage 'Golden Frog' nom  for 'Stealing Beauty'; 'Oscar' AA nom , ASC Award nom , BAFTA Film Award nom , Golden Satellite Award nom  & BSC Award nom  for 'Evita'; Music Week CAD Award nom  for music video 'Afrika Shox'; Independent Spirit Award 'Best Cinematography' nom  for 'Midnight in Paris'; ASC Spotlight Award nom  for 'The Immigrant'. About the ARRI ALEXA digital camera: Having shot two commercials and a promotional film with ALEXA, cinematographer Darius Khondji has used ARRI's latest digital camera in a number of different environments. All three productions were designed to be viewed on both the small and the big screen; the promotional film was a 3D project for Mercedes while the commercials were a Dior spot directed by Jean-Jacques Annaud and a Gaultier spot directed by Jean-Baptiste Mondino. Khondji spoke to ARRI about his experiences with the camera so far. 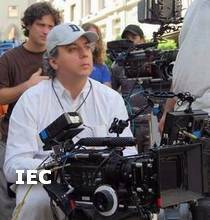 Darius Khondji: 'My first ALEXA shoot was the little 3D job for Mercedes and that was all daylight exteriors. It was a film to show the new generation of Mercedes cars that are coming - electric, hydrogen and hybrid vehicles - and it was shot in Paris; they wanted a 3D film to show on a big screen at the Champs-Élysées before the Paris Motor Show, which took place in October. The ALEXA handled the daylight exteriors and the 3D shooting very well. The Dior commercial was a 'J'adore' spot starring Charlize Theron; it won't come out until sometime next year because there's a lot of heavy postproduction to be done. That was a very interesting job to do with the ALEXA because the first day of the shoot - it was a day-for-night shoot - was in the Hall of Mirrors at Versailles, which was only lit by very dim electric candelabras. We weren't able to light the hall so we had to rely on very little light; we did tests with different digital cameras and decided to go with ALEXA because it was the most sensitive and delivered the nicest, softest look. I did shoot at 800 ASA at Versailles and that was more than enough. When I read the light meter in this very dim light - just like I would do for film - I was reading T0.7 at 800 ASA, which is hardly any light, but when we looked at the monitor, a stop of T1.4 on the lenses was actually overexposed, so we stopped down to T2.8. The ALEXA sensor is very sensitive and at times your light meter can be almost useless, so you just have to trust your eyes. In the end, though, it is better to use your meter and light the way you would if you were shooting film. The dynamic range of the sensor is very good. I'm sure it could still be improved, but it's really far better than any other digital camera I've worked with. I just didn't feel any restriction with ALEXA, whereas normally with digital cameras you might have to dim down things like bright practicals a little bit to protect the highlights. We haven't used the raw data mode yet, but we have used the onboard SxS card recording, as well as HDCAM SR. On the Gaultier shoot we used the SxS cards and editing was happening on the set, which was fantastic. That's the way Jean-Baptiste likes to work. In 2011, ARRI introduced the ALEXA Studio, a camera with an optical viewfinder and a 4:3 sensor. The Satanic Verses [?] ? 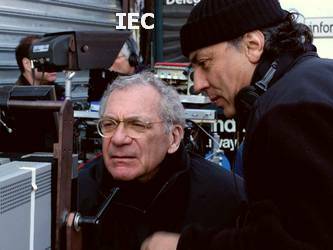 [Right] with Sydney Pollack - "The Interpreter"
[Left] with dir Stephen Frears & c.op Alastair Rae - "Chéri"